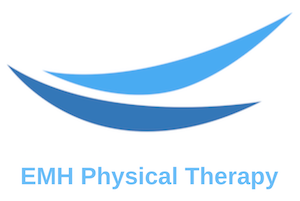 EMH Physical Therapy is conveniently located on the Upper East Side of Manhattan at 1317 Third Avenue between East 75th and 76th Streets. We have the full 9th floor in a medical building with elevators. EMH Physical Therapy works with most out of network insurance plans. Our front desk and 25-year experienced billing staff will contact your insurance company to find out your physical therapy benefits and discuss this information with you. Our goal is to provide treatment to all patients in need of our services. Give us a call today to discuss your insurance plan, financial responsibility and to make an appointment. In many cases, your insurance company may require you to consult with a physician and obtain a prescription for physical therapy. We communicate regularly with your physician by sending well-documented evaluation and progress reports. What do I need to bring to therapy? Your physician’s prescription, insurance cards and our patient information forms from our website, if possible. Wear comfortable clothes and we will provide you with appropriate shorts, T-shirts or patient gowns. What can I expect in a PT session? The first session is one (1) hour and includes a thorough evaluation, treatment and instruction in a home program by your licensed physical therapist. The follow-up sessions are forty (40) minutes with the same PT and includes answering your questions, manual therapy, pain management strategy, exercise instruction, posture/body mechanics education. Our licensed PT’s treat one patient at a time, from start to completion of care. Our goal is to treat and teach you the skills needed for a speedy recovery. Your doctor and physical therapist will guide you on the timeline for therapy. Attending your PT sessions consistently and doing all your exercises is essential for a successful result.